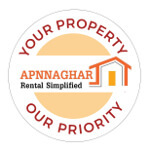 Apnnaghar the Best Property Management Services Bangalore, deal directly with prospects and tenants, saving you time and worry over marketing your rentals, collecting rent, handling maintenance and repair issues, responding to tenant complaints, and even pursuing evictions. Plus, Apnnaghar brings its know-how and experience to your property, giving you the peace of mind that comes with knowing your investment is in good hands. Apnnaghar takes care of all the work right after your property is registered, Such as entire Interior Designing requirement as per rental standards and owner choice such as Modular Kitchen, Wardrobes, Tv Units, Electrical and Bathroom fittings, Bescom Name Transfer and many more. A One Stop Solution. We release first payment as soon as agreement is signed and keys are handed over. Get timely rentals into your account without getting into hassles. Why pay brokers to find just tenants we manage your property in same price. Trouble dealing with tenants? Pass on all the headaches to us. Professional house maintenance to keep your house at its best. Background verification of all the tenants before they move in. 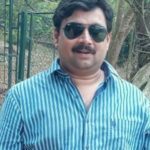 Well i didn't know anything about Appnaghar until i met a guy from Appnaghar who helped me to get a new reliable and cost effective house. 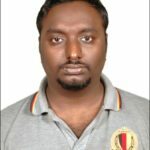 Since my dad is bit strict in vastu, i informed him when i met him and I must truly say that he was professional and also it was really good experience. Tenant hunting is a daunting task. Dealing with a completely professional Property Manager has saved me a great deal of frustration and not to mention stress. The Team at Apnnaghar.in has provided me with helpful advice and had always followed up and carried out any enquiries I have made. All communication has been prompt and efficient. Apnnaghar.in has to be recommend without hesitation to anyone contemplating the rental of property, Interiors, Electrical and bathroom fittings. The team’s professionalism certainly sets a standard that many other real estate agents could aspire to. You have to be congratulated. "I have found the services of the Property Management Team to be prompt, efficient and professional. At the end of the day it’s about trust and for this reason I recommend with confidence the property management services of Apnnaghar." We Provide No brokerage homes across Bangalore and ensure you save the money which is normally charged in the market. No huge deposit to pay we have a standard policy of 5 months rent as Deposit. We work on more competitive pricing as per the location, Property and amenities and provide best rent in the market. We accept either Cheque, or Neft we do not do Cash Transaction. We will have vendors availability on Prior notice for any Repair or Renewal work you might require for such as Plumber, Electrician and carpenter. Standard Service Fee Of Rs 5000 INR will be collected towards managing all complaints, Documentation, Vendor visit for estimation and so on. Rental Agreement will be handed over on the date of Moving and also standard inspection on Check in and Check out is done.